Rep Cards are a must for my photography business and should be for yours. My primary mode of marketing is word of mouth. When a client hands out these cards, they hand out your brand! I include a $50 print credit on the back of each card as well which encourages them to call me! For every rep card turned in, I also credit my existing client a $50 gift card. These little cards have increased my bookings 100%. 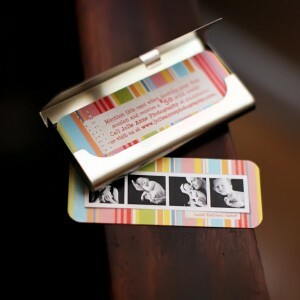 I print mine with http://www.millerslab.com and they come with a super cute metal tin to hold them as well. TOU: You many not sell these in ANY form. You may only print and use these for your photography business only. DO NOT share these with friends or other photographers. This is illegal and action will be pursued against you.